After coming up lame at the last ride, and putting me through a bit of minor hysteria (thinking it was his hocks), it does seem as though Diego has a groin injury or something in that general area. I’ve talked to quite a few vets now and all of them have agreed that a groin pull would cause quite alarming flexion tests in both hinds. And since the ride vet who saw him actually lame at the ride said at the time it looked like groin as well, we are proceeding on that basis. As close as I can estimate, it’s about six weeks since the injury. So yesterday I did flexion tests on him and had Veronica trot him out for me. He was still lame on both hinds, but he was vastly improved. The left was consistent but very very slight. The right was inconsistent and I might have missed it if I wasn’t looking hard. That’s a huge improvement from the awkward skipping lameness he showed when the vet did the tests on him a few weeks ago. Afterwards, I palpated high up into the groin. He didn’t mind me checking the right. But he was tense when I pushed up high into the inside of his left hind. He let me do it, but he was pretty shifty about it. So his holiday continues for a while yet. The last vet I talked to warned me that groin injuries are slow and that I’d be better off to leave him about twice as long as seems necessary. She said that people often bring a horse back into work too quickly and that can make the injury chronic. I definitely want to avoid that. Yesterday I went down to Woodbine to watch one of my kids race. Jasper. The big grey goofy guy. He is Monster’s older brother and just like that entire family, he’s got a ton of personality. He had a tough go of it as a youngster. Broke his shoulder at 7 days old and was on stall rest until he was nearly a year old. 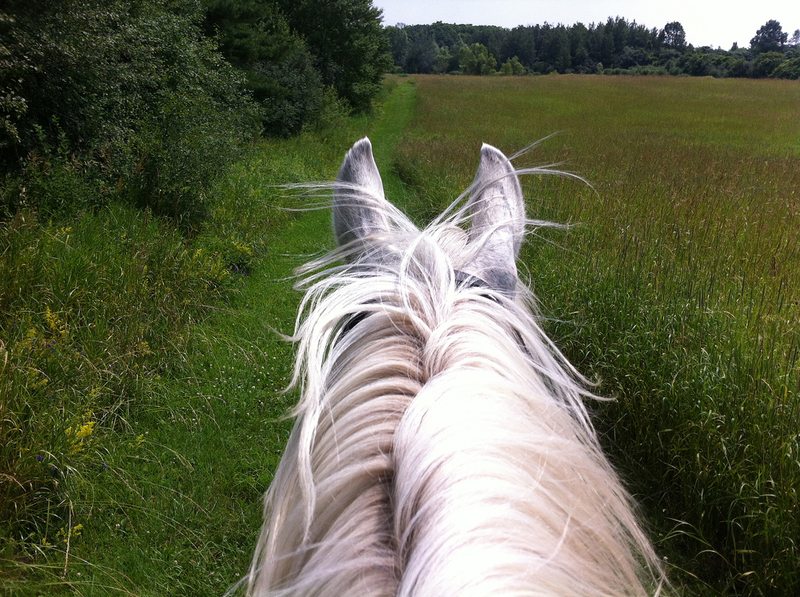 So when he first starting going outside, he had to learn how to trot and canter. He had never had a chance to get that all figured out. He was underweight, with no muscle, and a huge, ungainly head. Gawky doesn’t begin to describe him. He’s raced a few times already, but he’s coming back from a year and a half layoff (he had an injury, but it was not quite as bad as that – part of the layoff was just due to a shortage of available stalls and bad timing). That’s a long time to be away from racing, so you kind of expect them to need a race to get sharp again. However, Jasper adores his job. 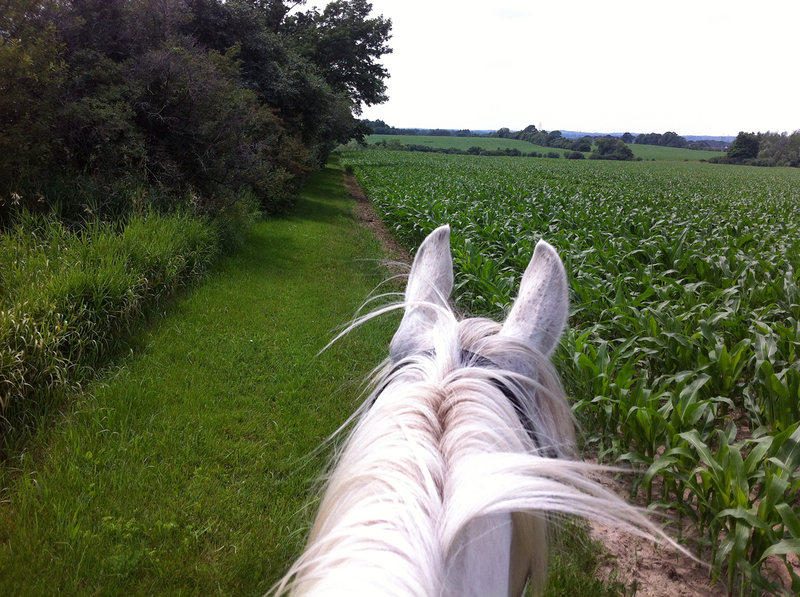 He is very happy at the track – much happier than he is at home on the farm. He has a whole bunch of little routines, and he LOVES his routines. He knows everyone’s schedule and watches for his favorite people. Only Harri is allowed to groom him. No one else understands the rules. You must always do everything in the same order. Once something is in the routine – it must stay in the routine. He has to look out certain windows when he’s being walked in the barn. He has to go back in the barn as soon as you put the scraper down after his bath. Sooooo many rules Jasper has. And at 17+ hands, it’s kind of hard to argue with the big guy. He came swanning into the paddock before the race with his ears up, cheerful as can be. He knew what he was there for and he was ready. Not stressed at all, just marching around. READY. The pony that took him out on post parade was probably an average sized Quarter Horse. But he looked like a 13hh pony with Jasper towering over him. Jasper was good as gold going out. Ears up, looking for the starting gate. He loaded into the gate perfectly. And for a first race back… you couldn’t ask for a better race. He tried his heart out and was a very good second at the finish. This past weekend I went to the Stormont Endurance ride. This time I didn’t take any horses. Just went to work as a lay judge (for the horses entered in the Set Speed ride), and also to teach a beginners clinic on Set Speed. The weather was outrageously hot and humid. There was a thermometer under one of the canopies where it was slightly cooler, and that was reading 38-39C both afternoons (which is something like 101-102F I think?) I wasn’t feeling too well by the end of the weekend, and I was not the only one. Despite the heat though, the riders took good care of their horses. 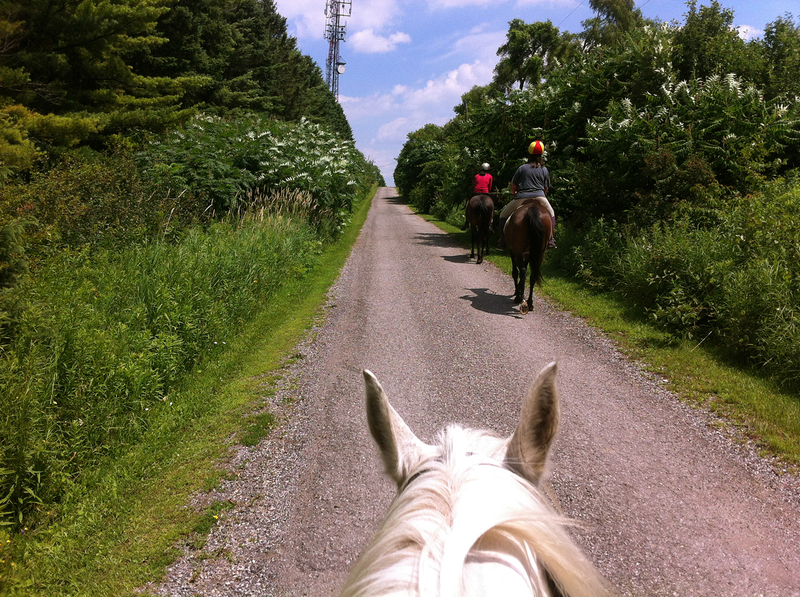 All of the horses were fine, despite some inversions (when they breathe faster than their heart beats, i.e. panting) and some hanging heart rates. Though one rider did end up in hospital with heat stroke (he was fine after treatment), and quite a few of the volunteers were feeling unwell. The clinic seemed to go pretty well. Everyone asked a lot of questions and seemed to understand the explanations (as far as I could tell anyway). There were quite a few riders from the OCTRA Green Beans group on Facebook. It was good to see that so many of them felt prepared and motivated enough to come out and try a ride. 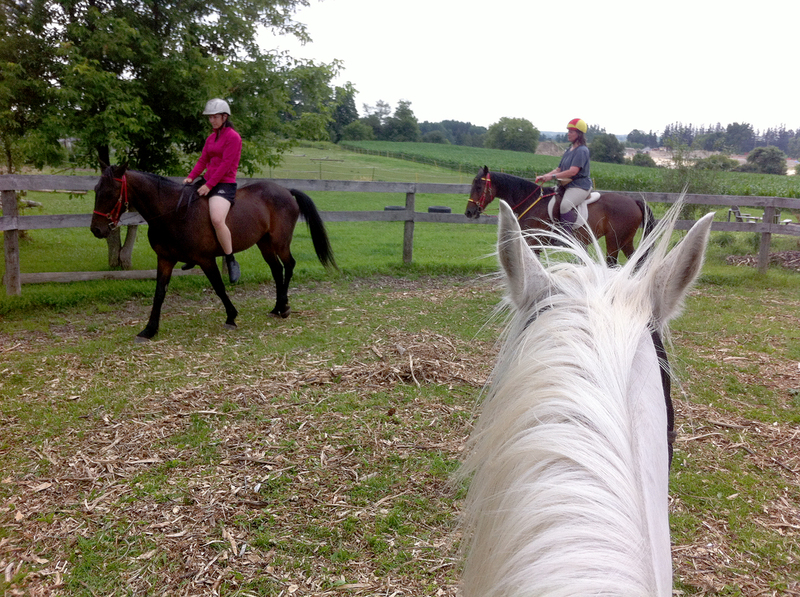 During the Set Speed rides, the beginners seemed to know what they were doing, and took excellent care of their horses. They were a bit handicapped on Saturday due to the late start time (11:30, so right into the heat of the day), and a finish line that was nearly a kilometer from camp, which ate up an awful lot of their 20 minutes of cooling time to get their horses’ heart rates down. Due to the circumstances, ride management elected to award mileage completions to the horses who failed the parameter checks, so long as they met parameter by the 30 minute check. Which all of them did. On Sunday, they started earlier and the finish line was moved to the vet check, so they managed a lot better. It was the veterans who got confused and forgot what to do and when. Set Speed is not all that complicated. Not nearly as complicated as CTR and every one of the veterans could have sailed through a CTR without a glitch. But I think Set Speed so similar to endurance that they forget the actual difference – 20 minutes to meet parameter instead of 30, and then a final heart rate and vetting at 30 minutes (which, in combination with overall speed, is scored). Or maybe it was just so damned hot that brain cells were frying and they couldn’t have figured out anything at all, including CTR, Set Speed, or how to tie their shoelaces. I know I felt like that for most of the weekend too. I was busy with the Set Speed, so didn’t have time to pay close attention to the endurance. But it was an FEI as well as Open ride. On Saturday they had a 160km (100 mile) which I believe Melody Blittersdorf from the US won. In the 120km (75 mile) There were only two entries that I saw. Valerie Kanavy from the US won the senior, and a young rider from Mexico won the junior level. Stephanie McLeod won the 80km (50 mile) riding Teresa Finnerty’s big handsome boy Thistle (aka “The Ploughbeast” – he’s half Clydesdale). 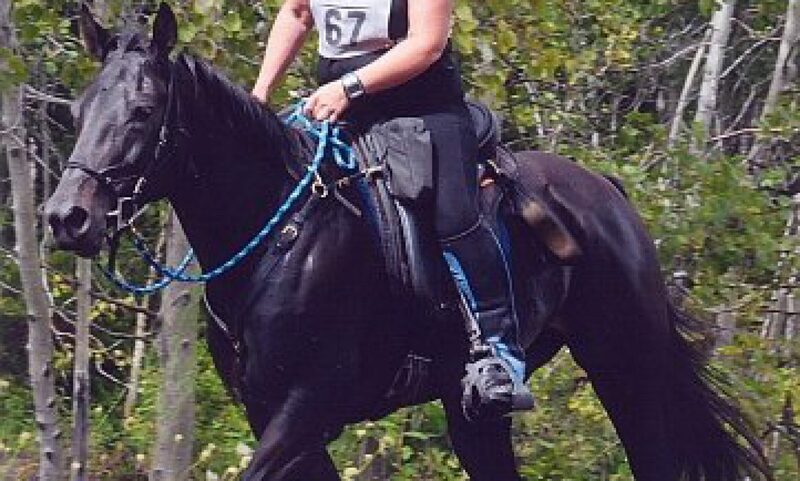 On Sunday, Wendy MacCoubrey won the 80km on Agil’s Royal Indy. Nancy Zukewich won BC and HVS with Luba. There were two entries in the 120 km on Sunday as well. Monica Grundmann won on her Morab stallion, Excalibur Legend. Mike Downing was treated for heat stroke, so he was pulled on one of his last loops. He did recover fine after a short visit to the hospital. I took my camera of course. I got a few photos, which are below. Nothing like the veritable tsunami of photos that appeared in the OCTRA Facebook group over the last 36 hours though. Wow… there sure were a lot of people with nice cameras wandering around ride camp.